A butchers shop in Killamarsh. Can anyone give any more details. Photo courtesy of Mrs A Staples. 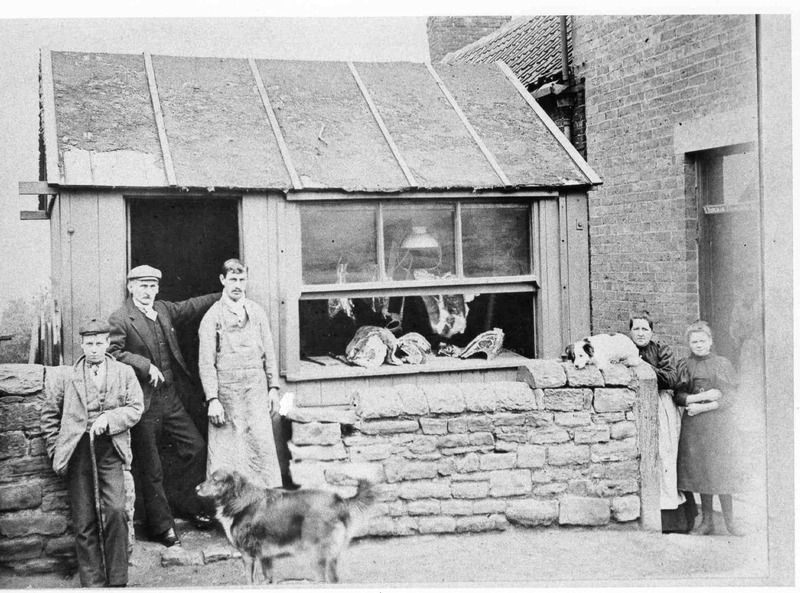 my Gt Grandad had a butchers shop in Killamarsh but he died in early 1900’s he was George Turner his wife was Elizabeth nee Northcliffe the lad on the left looks like a family member.they are interred in the Church yard. I have seen this photo before somewear.Reckon it could be at the narrow section at the top of High Sreet on th e right hand side whear Ron Wards sister had a fish and chip shop.Could be wrong but its a starter anyway.